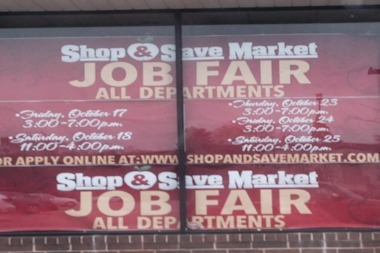 Shop & Save Market, which will take over the shuttered Dominick’s at Devon and Nagel avenues, is accepting applications for positions in all departments. NORWOOD PARK — Shop & Save Market, which will take over the shuttered Dominick’s at Devon and Nagel avenues, is accepting applications for positions in all departments. The job fair at the store, 6312 N. Nagle Ave., will take place from 3 p.m. to 7 p.m. Friday and from 11 a.m. to 4 p.m. Saturday. The job fair will continue from 3 p.m. to 7 p.m. Oct. 23 and Oct. 24 as well as from 11 a.m. to 4 p.m. Oct. 25. Shop & Save, which offers specialy made Polish-style meats, sausages and rye bread, bought the former Dominick's in February. Store officials have not announced when the market will open. The Norwood Park store will be the seventh Chicago-area store for the Niles-based grocery chain. Dominick's shuttered its 15 Chicago locations in December. The loss of the Norwood Park Dominick's was an inconvenience for those who relied on the store for decades, said Ald. Mary O'Connor (41st).